In this episode, Rob and Scott first attempt to review the reprehensible Grifone Chianti (reprehensible for many, many reasons). 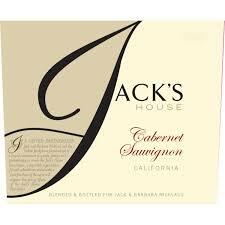 Luckily, and because there is a fair and benevolent God, the Grifone was corked, which brought about the review of the surprisingly lovely Jack’s House Cabernet. Will Grifone suffer the unrestrained wrath of The Wine Vault (yes), or will the pleasant surprise of Jack’s House assuage their anger (no)? We shall see…on The Wine Vault.